Have you ever wondered who the best teams are that are not members of FIFA? I would guess for most of us, probably not. However, I recently read a post at the Culture of Soccer blog reviewing a very interesting looking book called, Outcasts! The Land that FIFA Forgot by Steve Menary. There is a football association called the NF Board (wiki), or unofficially, Non-Fifa-Board, that was formed in 2003. 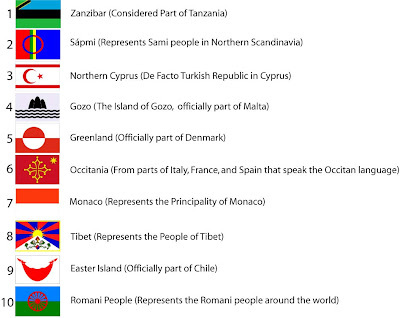 The teams from this federation are not recognized by FIFA because they are not recognized globally as sovereign states. There are quite a few other organizations that are not under the FIFA umbrella as well. Maybe I just don't pay enough attention, but I had no idea there was such a non-FIFA "scene" going on in world soccer. Interesting.